Click here to download a source sheet on Baal Tashchit. The commandment of baal tashchit — do not waste, or destroy — has long been considered central to the Jewish environmental ethic. Indeed, Rabbi Norman Lamm understands it to be “the biblical norm which most directly addresses itself to the ecological situation.” What is the basis for the commandment not to waste? 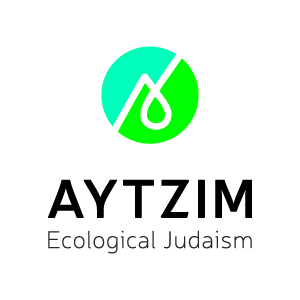 We will explore how the Jewish tradition widely forbids wasteful acts, how wasting contributes to degradation of the planet, and how not wasting can help us improve our lives both physically and spiritually. The Torah teaches us that we are not to cut down fruit trees in wartime. Yet the rabbis in the Babylonian Talmud (200 C.E. to ~500 C.E.) understand verse nineteen above to be a general principle beyond war and fruit trees. They employ a common form of Rabbinic interpretation, making a logical inference from a more stringent to a less stringent case. If Jews must not cut down fruit trees in the extreme case of a war of conquest, when destruction is the norm, how much the more so does this apply to normal life. The general prohibition against needless destruction, derived from the verses on fruit trees, concerns not destroying directly or indirectly anything that may be of use to people. It applies to wasting energy, clothing, water, money, and more. According to the Talmud, this prohibition includes wastefully burning oil or fuel. Many Rishonim (commentators between 1000 and 1500 C.E.) conclude that wasting any resources of benefit to humans is a Torah prohibition. For example, Maimonides (1135-1204, Spain) explains that a Jew is forbidden to “smash household goods, tear clothes, demolish a building, stop up a spring, or destroy articles of food.” Rabeinu Yerucham (1280 — 1350, Spain) rails against wasting water when others are in need. Rabbi Moshe Aaron Poleyeff (1888 — 1967, Europe and America) wrote that overeating may be a double transgression of baal tashchit — first by wasting food, and second by harming one’s body. Rabbi Shaya Karlinsky, (present day, Israel), considers taking more food than one can eat at a buffet to be baal tashchit. There are limitations to what is considered “needless” destruction. Observance of a mitzvah, like tearing clothes in mourning, or preservation of human life or health overrule baal tashchit when the two come in conflict. Also, one does not violate baal tashchit when destroying an object is of more benefit than preserving it. For example, if a tree’s wood is worth more than its fruit, then it may be permitted to cut it down. That said, the Jewish Sages reveal a high degree of sensitivity when it comes to waste. According to the Sefer Ha-Hinukh (13th century, Spain, author unknown), righteous Jews “do not allow the loss of even a grain of mustard, being distressed at the sight of any loss or destruction. If they can help it, they prevent any destruction with all the means at their disposal.” Quite a level to which to aspire. Today, we use and waste vast amounts of resources. Indeed, certain practices in Western society directly conflict with the principle of baal tashchit. Let us examine one modern-day example of baal tashchit mentioned above — the throwing out of edible food. According to a 2011 study commissioned by the Food and Agriculture Organization of the United Nations, “roughly one third of the food produced in the world for human consumption every year — approximately 1.3 billion tons — gets lost or wasted.” In the United States, less than three percent of this waste was recovered and recycled. While some of this food waste was inedible, part of it was good food discarded by satiated diners or edible leftovers thrown away from the refrigerator. Disposing of food costs money: about one billion dollars spent annually in the United States. In garbage dumps, this decomposing food waste produces methane, a potent greenhouse gas. The environmental impact of this waste occurs not only in the garbage dumps where it is deposited, but also in the resources used to produce it. Fossil fuels, water, and land are all required to produce food, and in the case of meat, exceptional amounts. For example, over 5,000 gallons of water are calculated as being required to produce one pound of beef. One study examined the energy embedded in wasted food--from agriculture, transportation, processing, food sales, storage, and preparation. It concluded that this energy “represents approximately 2 percent of annual energy consumption in the United States.” By wasting food, we squander a tremendous amount of resources, reduce the food available for the world’s poor, and waste money that could be used for important purposes. By heeding the Torah's call not to waste, we can, therefore, generate ecological, social, and financial benefits. The verses that introduce this mitzvah describe a war against an external enemy, but the rabbis make clear that the real battle to be waged is within ourselves, against a tendency to be wasteful. Rabbi Hirsch identifies the key traits that lead to wasteful behavior — anger, pride and, most of all, ego. To tread lightly and live without wasting, one must cultivate the opposite of these traits—inner peace, humility, and selflessness. By consuming in a mindful way and not wasting, we can become healthier, more balanced human beings and also promote a healthier and more balanced world. May the changes we make in our own lives ripple outward to our families, our community and our planet. “Ecology in Jewish Law and Theology” in Faith and Doubt, by Rabbi Norman Lamm, 2006, KTAV Publishing House: Jersey City, N.J. Rabbi Lamm is former chancellor of Yeshiva University. Babylonian Talmud, Tractate Shabbat p. 67b. For more on baal tashchit of energy and an explanation of this source, see the Jewcology article on energy. Mishna Tora, Hilchot Malachim, 6:10. Sifrei (a halachic Midrash), end of Parshat Shoftim. Bircat Hashem, Jerusalem, 2000, p. 211 He cites the views of R' Shmuel Heller in Kuntras Cavod Melachim, p. 5a, Rabbi Moshe Aaron Poleyeff in Orach Mesharim section 29 subsection 4, and that of Shut Mahari Esad (Yoreh De'ah section 164). Ibid, Bircat Hashem, p. 213 and footnote bet there. Again, he cites the views of R' Shmuel Heller in Kuntras Cavod Melachim, that of Shut Mahari Esad, and that of Chazit Ra'anan. Orach Mesharim 29:6. Orach Mesharim were posthumously reprinted in 1970. Rabbi Poleyeff was a Rosh Yeshiva at the Rabbi Isaac Elchanan Theological Seminary at Yeshiva University. Written response to questions on baal tashchit submitted by the author, spring 2005. Sefer Ha-Hinukh:The Book of [Mitzvah] Education, evidently by Rabbi Pinhas haLevi of Barcelona, 16th century, translated by Charles Wengrov. Feldheim Publishers: Jerusalem, vol. 5 p. 14. The study, Global Food Losses and Food Waste, was commissioned by FAO from the Swedish Institute for Food and Biotechnology (SIK). Available here. “Basic Information about Food Waste,” U.S. Environmental Protection Agency, available here. “Waste Not, Want Not,” A joint publication of the U.S. Environmental Protection Agency and the U.S. Department of Agriculture, available here. This estimate, by John Robbins in his book Food Revolution (2001), is based on Dr. David Pimentel, et. Al. in Ecological Integrity: Integrating Environment, Conservation and Health (Island Press, Washington DC, 2001). Pimentel is professor of ecology and agricultural science at Cornell University. The estimate is based on 100 units of hay and four units of grain being fed to cattle to produce one unit of beef. Robbins’ book also contains statistics on how much fossil fuels, water, and land are required to produce a number of different foods. “Wasted Food, Wasted Energy: The Embedded Energy in Food Waste in the United States,” Amanda D. Cuellar, Center for International Energy and Environmental Policy, The University of Texas at Austin, and Michael E. Webber, Mechanical Engineering, Center for International Energy and Environmental Policy, The University of Texas at Austin. Environ. Sci. Technol., 2010, 44 (16), p 6464 — 6469.